An American In Paris is directed and choreographed by Christopher Wheeldon. Inspired by the Academy-Award winning film, An American In Paris brings this classic tale to Broadway for the first time with music and lyrics by George Gershwin and Ira Gershwin and a book by Tony nominee and Pulitzer Prize finalist Craig Lucas. 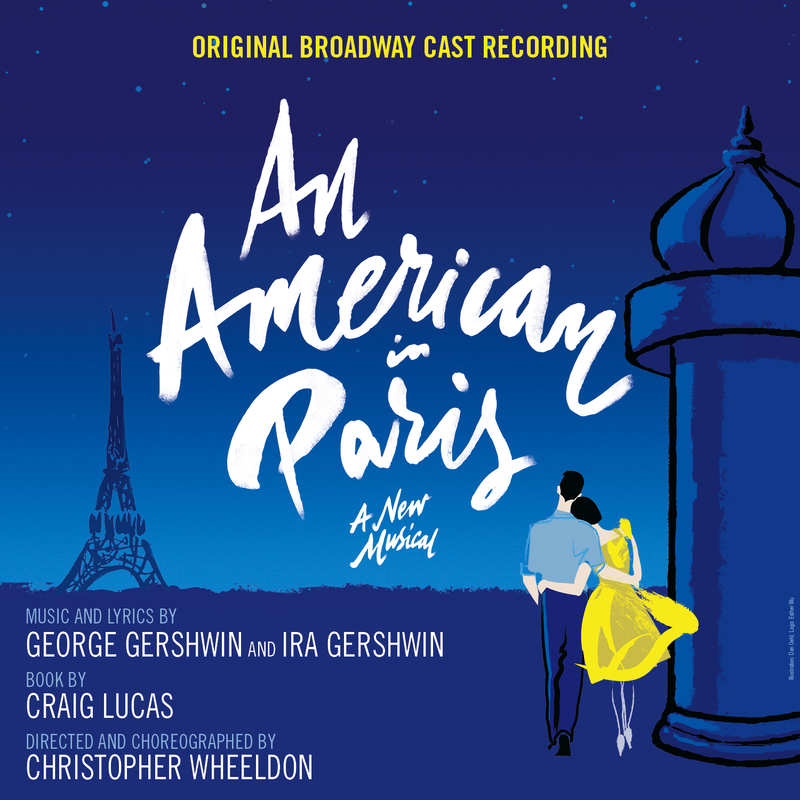 The cast of An American In Paris includes Robert Fairchild as Jerry Mulligan, Leanne Cope as Lise Dassin, Veanne Cox as Madame Baurel, Jill Paice as Milo Davenport, Brandon Uranowitz as Adam Hochberg, and Max von Essen as Henri Baurel. The cast also includes Caitlin Abraham, Will Burton, Attila Joey Csiki, Michael Cusumano, Taeler Cyrus, Ashlee Dupré, Rebecca Eichenberger, Sara Esty, Laura Feig, Jennie Ford, Kurt Froman, Heather Lang, Dustin Layton, Nathan Madden, Gia Mongell, Candy Olsen, Rebecca Riker, Adam Rogers, Sam Rogers, Shannon Rugani, Garen Scribner, Sam Strasfeld, Sarrah Strimel, Charlie Sutton, Allison Walsh, Scott Willis and Victor J. Wisehart. The creative team is comprised of Tony Award-winners Bob Crowley (sets and costumes), Natasha Katz (lighting), Jon Weston (sound), 59 Productions (projections) with the musical score adapted, arranged and supervised by Rob Fisher, musical supervision by Todd Ellison, musical direction by‎ Brad Haak, orchestrations by Christopher Austin, dance arrangements by Sam Davis, and additional orchestrations by Don Sebesky and Bill Elliott. The Associate Director is Jacquelin Barrett and the Associate Choreographer is Dontee Kiehn. Casting is by Telsey + Company/Rachel Hoffman. The producers are Stuart Oken, Van Kaplan, Roy Furman, Stephanie P. McClelland, Darren Bagert, Carole L. Haber, James Nederlander, Five Cent Productions, Michael Leavitt, Apples and Oranges Studios/Dominion Pictures, Roger Berlind/Arch Road, Simone Genatt Haft/Marc Routh, Triptyk Studios/Spencer Ross, Ed Walson/Peter May, Adam Zotovich/Celia Atkin, Eugene Beard/Julie Boardman/Kallish-Weinstein, Stuart Ditsky/Jim Herbert/Sandy Robertson, Suzanne Friedman/Independent Presenters Network/Wonderful Productions, The Leonore S. Gershwin 1987 Trust/Jenkins-Taylor/Proctors, Harriet Newman Leve/Jane Dubin/Sarahbeth Grossman, Caiola Productions/Jennifer Isaacson/Raise the Curtain, by special arrangement with Elephant Eye Theatrical, Pittsburgh CLO and Théâtre du Châtelet. Leanne Cope is appearing with the support of Actors’ Equity Association. The Producers gratefully acknowledge Actors’ Equity Association for its assistance of this production.